I must admit that I was quite excited for this Fuji XT2 review. Partly that was down to my love hate relationship with the XT1. That was a camera I loved the concept of and indeed it had many great features such as external dials for aperture, shutter speed and ISO, a huge viewfinder and great image quality. However there were a few aspects that made me begrudgingly sell it. The focus still wasn’t quite as good as it needed to be and other cameras offered more features at that time. See my XT1 vs Olympus EM1 video for more on that. My excitement was also aroused due to the internet buzz over the improvements made to the X-Pro2 and indeed the early noise coming out from Fuji XT2 reviews. Before we go any further I would just like to remind you that if you find this review helpful then please shop using my Amazon links. It wont cost you an extra penny but it does help to support my work here. Absolutely anything that you buy through my links, even groceries helps me to keep adding to the website. A huge thank you for those who use the links. So lets take a look at the new features of the Fuji XT2 and see what we get. 8 FPS mechanical and 14 FPS Electronic burst rate. As you can see from the list Fuji pulled out all the stops here to create a true flagship camera that has improvements across the board. The new 24mp sensor, a bump of 50% from the older generation 16mp sensors is a welcome addition and brings it in line with the competition. Fuji clearly want to take the video market more seriously with 4K output and they have listened to feedback from photographers in nearly every department and worked to improve on what they already had with the XT1. 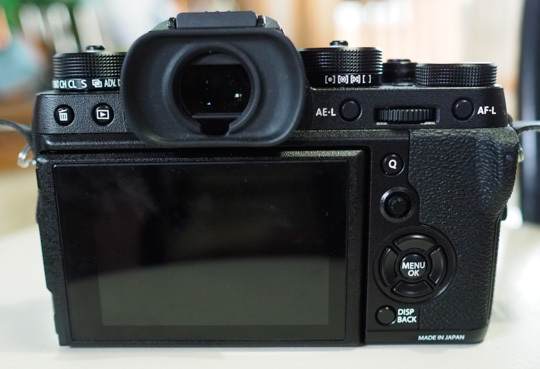 The XT2 is slightly larger than the XT1 at 133x92x49.2mm and also 67 grams heavier. 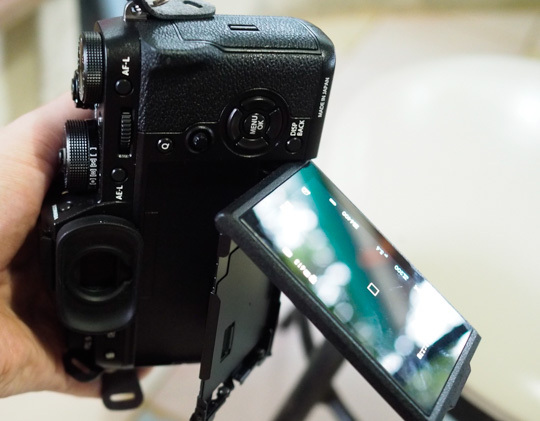 In the hand this makes the XT2 very comfortable to hold, offering good grip and a little more space to work with when using the controls. I always felt the XT1 was a good camera but in need of a few improvements and the XT2 has come up trumps here, offering a little more room to work with and a more robust feel than its predecessor. The front grip is slightly more pronounced on the XT2 and fits perfectly in my hand. The first and most noticeable addition is the new AF Joystick which allows you to easily re-position your selected AF point directly with just the a flick of the controls. It works seamlessly and really speeds things up when you need to quickly select or change your focus point. This has the added benefit of freeing up the D-pad direction buttons to use as custom function buttons. The Fuji XT2’s magnesium alloy shell is fully weather sealed (when combined with Fuji WR lenses such as the 90mm f/2) down to -10 Celsius, having 63 points of sealing. The VPB-XT2 grip is sealed to the same level. I’ve been caught out with my XT2 + 90mm f/2 in torrential downpours and it dealt with them rather better than I did. One of the features that draws many photographers to the Fuji X-Series of cameras and especially the XT1 and 2 is the retro style control dials. The Fuji XT2 retains the shutter speed dial although now it offers a 1/8000 maximum shutter speed. This is a particularly welcome feature for those wishing to shoot with fast aperture primes in bright light. One of the major handling improvements I’ve found with the XT2 is that Fuji have now changed the ISO locking mechanism to a push ball point style button. Now you press to lock and press again to unlock. This is vastly more usable than the one on the XT1 where you had to press and hold it to unlock the dial every time you wanted to change ISO. The dials are also slightly taller and better damped which makes them much easier to change quickly. They are now what I would consider as close to perfect as you can get. In fact they’re so good that I don’t think about them. That’s a good thing as they simply do their job and don’t hinder the shooting experience at all. The addition of dual memory card slots will be appreciated by everyone but in particular by pros because it gives the option to have an overflow, backup, or to shoot raw to one and Jpeg to the other. Both slots are UHS-II ready (unlike the X-Pro2) so you can stick a fast SD card in both and keep on shooting as I have. 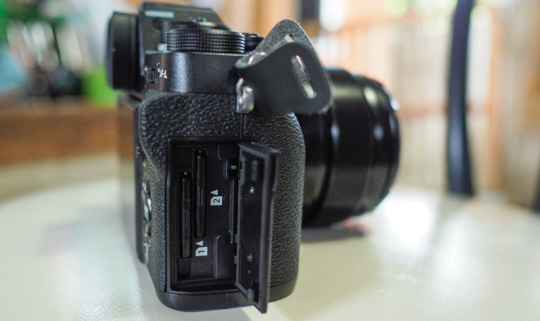 Fujifilm have also attended to one of my gripes on the XT1, namely the flimsy memory card door. It is now much more robust and features a small lock so that you no longer accidentally open it in use. The little flick lock is easy to operate so doesn’t hinder you when you want to access your memory cards. Locking mechanism and better build quality are appreciated on the memory card door. The exposure compensation dial is well damped and in my time using it has never been knocked while getting it in and out of my bag. It doesn’t feature a lock unlike the shutter speed and ISO dials but it doesn’t seem to need one. It offers +-3ev of compensation with the addition of a C position which extends this to +-5 ev. The Fuji XT2 retains the front finger and rear thumb control dials but they now include push to click functionality taken from the X-Pro 2. The rear D-pad buttons protrude away from the surface a little further than on the XT1 and feel much more responsive in use. No more squidgy buttons here. 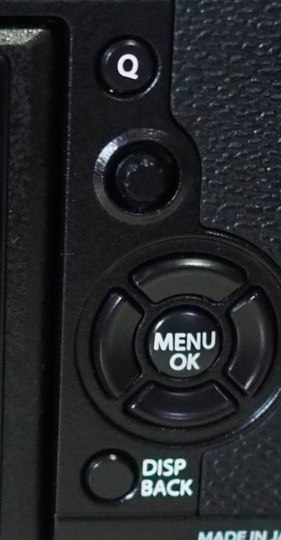 The video record button has been removed and replaced with a dedicated video position on the drive dial (Located around the base of the ISO dial). 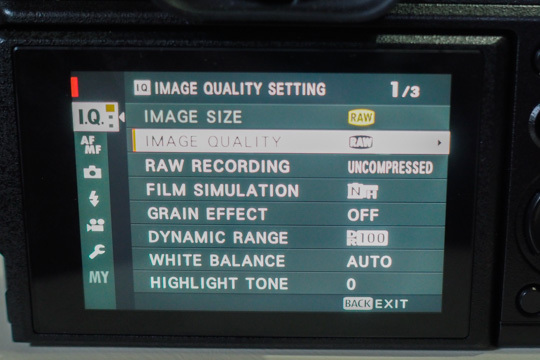 The options on the drive dial are now Movie, Bracketing, Continuous High, Continuous Low, Single frame, Multiple Exposure, Advanced Filter (effects), and Panorama. The Fuji XT2 offers several metering modes which are changed with a second dial around the base of the shutter speed dial. Spot metering is taken from the centre 2% of the image frame, centre weighted which adds increased importance to subjects in the centre of the frame, multi and average. For most circumstances multi metering does a good job although I often switch to centre weighted when shooting portraits, particularly against a bright background. I found the XT2 to under expose slightly in some circumstances but it’s so easy to add a touch of exposure compensation via the dedicated dial that it wasn’t really an issue. Just something to be aware of. [UPDATE] This feature is offered. I missed it but found it while playing with the cameras menu system. Thanks to Eric who also pointed this out. It would be nice if Fuji would offer the option of linking spot metering to the AF point in use as this can be really useful for shooting portraits off centre and for shots such as birds in flight against bright skies. The XT2 also includes bracketing options for exposure, ISO, film simulation, white balance and dynamic range. Exposure bracketing is inexplicably limited to only 3 frames though which will be a serious gripe for those interested in HDR photography. I’m sure Fuji could increase this via firmware and I suggest that they do. Adding the option to bracket up to 7 frames would seriously increase this cameras appeal to HDR photographers. There are 8 special effects filters which I have never used but for those interested they are Toy Camera, Miniature, Pop Colour, High Key, Low Key, Dynamic Tone, Soft Focus and Partial Colour. The effects don’t work when shooting video of course but they also don’t work if you are shooting raw and Jpeg. More interesting I suspect to the vast majority of photographers is the addition of the Acros film simulation along with the ability to add red, yellow and green colour filters as well as grain in two strengths. I’ll take a more in depth look at this in the image quality section below. In addition to Acros we also have the standard film simulations of Provia (standard colour) , Velvia (more saturated) , Astia (A little softer in colour than standard and nice for outdoor portraits), Pro Neg standard, Pro Neg Hi (Give nice skin tones Hi offering a little more contrast), Classic Chrome (muted colours for a retro look) and Monochrome with the ability to add red, green and yellow filters. Classic Chrome is still a favourite. Out of these filters I find myself mainly using Astia for outdoor portraits, Classic Chrome when I want a more subdued vintage look to shots, Pro Neg Standard and Hi when shooting portraits both in and outdoors depending on the look I want. If I want a black and white image I always use Acros now as it delivers beautiful contrast without blowing highlights and blocking shadows. The smooth tones of the new simulation are rich and very, very pleasing but more on that later. The Fuji XT2 also offers an interval timer to shoot up to 999 images at intervals of between 1 second and 24 hours. The Fuji XT2 retains the same excellent 2.36million dot viewfinder as the XT1. Offering 1024 x 768 resolution with a large 0.77x magnification. Compared with its rivals the XT2 viewfinder offers a huge view and is certainly one of the selling points of this camera for me. An excellent feature carried over from the XT1 is that when shooting in portrait orientation all the shooting information is rotated so it is easily legible. A great feature and one which I’m not sure why other manufacturers have not implemented on their models. There is also an option to show a slightly smaller image along with a second image to the right giving a highly magnified view with focus aids such as peaking and split screen simulation. I must admit though that I don’t use this feature as I prefer to keep the immersive large display intact. The viewfinder has a vast number of display and overlay options which enable you to set it up with the information that is most important to you. It offers a level gauge although unlike Olympus and other models it is only a single axis level. The viewfinder is now twice as bright as the XT1 which is perfect when shooting on bright sunny days as I have been recently. 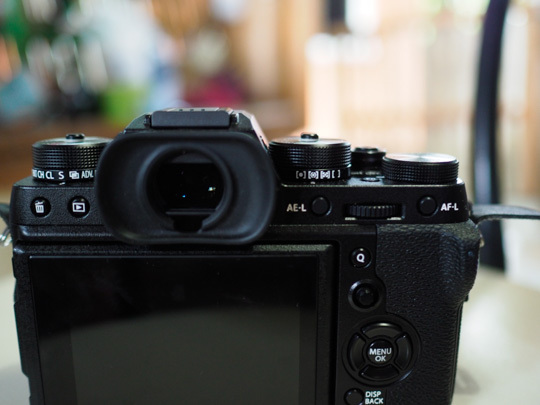 The refresh rate remains around the same at 60fps vs 54 fps on the XT1 but you now have the option to use boost mode on the XT2 to increase this to 100FPS. This is particularly useful when shooting fast moving subjects and firing off a burst of shots. I’ve found that while there is still a little lag when tracking fast moving subjects it is now pretty minimal and I have no problem keeping up with the action when using boost mode. The viewfinder eyepiece is now larger and keeps out stray light effectively. Overall I’d say the Fuji XT2’s electronic viewfinder is the best on the market. It’s a joy to use. 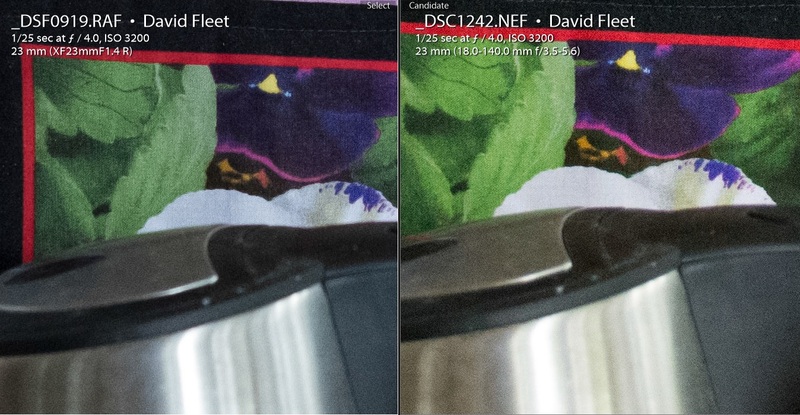 The LCD screen on the XT2 looks virtually unchanged at first glance. It remains a 3″ 1040 unit and unfortunately Fuji have again decided not to add a touch screen. Particularity with the addition of 4K video on the XT2 it would have been great to have a touch screen in order to easily be able to pull focus when shooting video. However Fuji have implemented an ingenious design to allow shooting at varying angles in portrait orientation. As well as being able to tilt vertically there is an additional hinge that allows the screen to flip out horizontally. It’s a great bit of design and one that adds to the usability of the camera in more situations. For some reason the shooting information doesn’t rotate to match the shooting orientation unlike when using the viewfinder. One issue I have on my XT2 and one that has been reported by a number of other users is that when switching on the camera both the viewfinder and LCD white out for several seconds before the exposure seems to adjust and display correctly. I’m hoping Fuji attends to this in a firmware update. In fact, knowing Fuji I’m almost certain they will as they are the best in the industry for adding fixes and improvements via firmware updates. 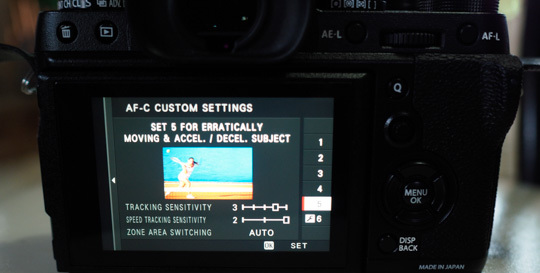 Fuji have implemented a new menu system on the XT2 which overall is a little more user friendly. Being a long time Fuji X user it has taken me a little while to get used to it but now that I have it is more intuitive and makes more sense. The new menu layout is tabbed and with the XT2 offers an AF specific tab, highlighting the cameras aspiration to become a workhorse of pro sports and nature photographers. I’ll talk more about this and the AF performance further on. One small gripe is that it doesn’t always remember your last location in the menu. So for example, I format memory card one, it then takes me out of the menu and I have to go back in, re-locate the format option and repeat for slot 2. It would be better if once card 1 is formatted it just kicked me out to the same sub menu so I can quickly format card 2. The Fuji XT2 is well connected, now with a separate 2.5mm remote jack and thankfully a common 3.5mm microphone socket. There is also an HDMI port and a faster USB3 port too. The XT2 can output uncompressed 4.2.2 8bit 4k video externally although internally this is reduced to 1080p. WiFi options remain essentially the same as the latest X Series models. It uses the same app and offers the same features. There is no NFC or Bluetooth available. The XT2 uses the new NP-W126 battery which retains the same power specs but apparently deals with heat better. Presumably this is necessary when shooting 4k video. The older XT1 batteries will still work but just make sure to check for overheating issues if shooting 4k video. The battery door on the XT2 now feels more sturdy and has a reassuring feel to it when opening and closing. What is new on the XT2 is the ability to charge it via USB which is great, if like me you have a number of different cameras and travel a lot. No more lugging all the various chargers with you. It is still supplied with an AC charger though unlike some Sony’s I have purchased in the past. The VPB-XT2 battery grip offers a number of additional features which I shall quickly list here. 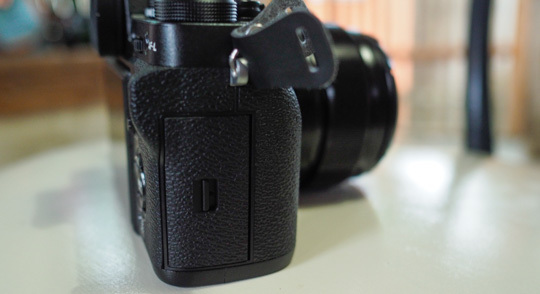 For my Fuji XT2 review I did not purchase the battery grip so can’t really comment on them. The VPB-XT2 is more than just your standard battery grip and I will probably purchase it in the future when funds allow. I’m getting married in a few months time so I can’t justify it right now. Overall Fuji has addressed every single one of my issues in terms of handling that I had with the XT1. It feels better made, the dials are much more user friendly and there are no little things that bug me. Ergonomically I’d say Fuji have made the perfect camera with the XT2. I absolutely love using it. I previously always found using a PASM dial and control wheels to be faster than the external dials of the Fuji system. However with the XT2 that has changed. The extra depth of the ISO, shutter speed and exposure compensation dials give just the right feedback to be able to change them quickly and easily. The revised ball point pen style locking mechanisms are so much better and the slight increase in overall size mean that this camera handles superbly. I actually can’t think of anything that I would change in terms of ergonomics. Oh yes I can, just add a touch screen Fuji and then the XT2 would be perfect. I got the Fuji XT2 with super high hopes for the auto focus system, mainly because of the hype that I had heard on the internet about it being incredible, amazing, lightening quick etc. The XT2 now sports 325 auto focus points (you can select to only use 91 if you wish), including 169 phase detect points. The area covered by the phase detect AF points is significantly larger than on previous models so tracking subjects becomes much easier. The XT2 also offers Zone and Wide AF tracking modes which use a portion of the AF points to keep your subject within them. In Zone AF the autofocus area becomes a square measuring 3×3, 5×5 or 7×7 points. You can adjust its position using the AF joystick or cross keys. If you are using S-AF mode you can choose from a 13×7 array, or in C-AF, the smaller 7×7 square. First lets start by talking about the AF speed in S-AF mode because that is probably what a lot of us use most of the time. I intentionally shot the XT2 with an older 23mm f/1.4 and a more recent 90mm f/2 because I am aware that if I only used older lenses then any criticism of the XT2’s auto focus would be blamed on the older lens design. I can say now that the Fuji XT2 auto focuses faster than any other X series camera that I have tried. It is faster to focus and lock on than the XT1. When shooting in good light it is very quick to focus and very accurate too. Using the new AF joystick combined with the additional focus points available you can easily adjust your AF point and for example, highlight the one over your subjects eyes. Speaking of eyes, the XT2 offers face detect AF and eye detect AF with the ability to select left or right eye. I have found this to work very well in practice although I still slightly prefer Olympus’ system. The Face and Eye detect AF can be overridden manually by selecting your AF point with the joystick. Something which wasn’t available when I tested the XT1. Face detection is not available in C-AF mode though as it only uses contrast detect AF. In the menu system you can select your priority between focus and release and have it set separately for S-AF and C-AF. For S-AF I always have this set to focus priority. The auto focus is fast but it is still not quite as quick as my Olympus Pen F which is instant. The XT2 is quick but on occasion when using older lenses such as the 23mm f/1.4 it can hesitate for just a fraction of a second. However when using the 90mm f/2 it was noticeably faster. In general it is fast enough for almost any purpose. 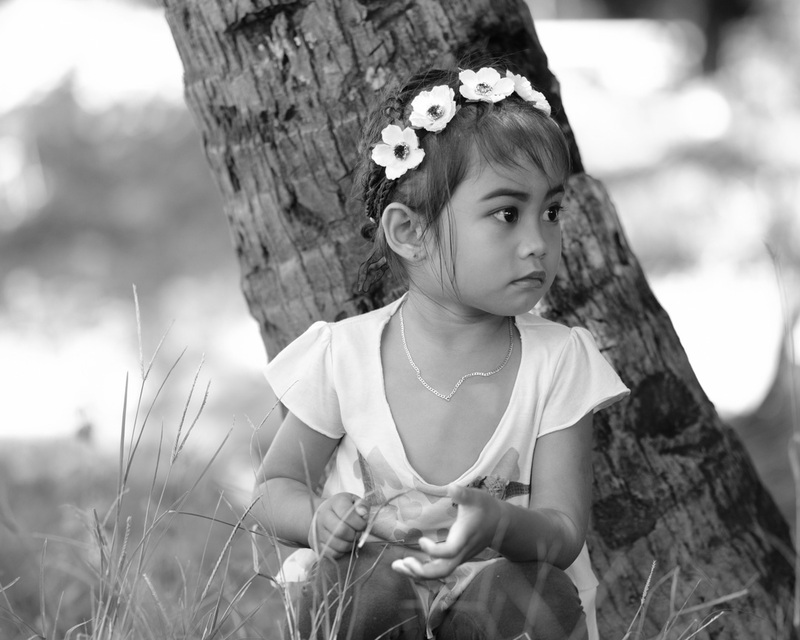 Capturing photos of your children who wont keep still for a second will not be a problem for the XT2. Tracking performance on the Fuji XT2 is where I found the greatest improvement. In comparison to the XT1 the XT2’s tracking performance is excellent. It is quick to pick up the subject, almost always selects the correct subject (especially if you select the suddenly appearing subjects option as below) and once locked on it gave me the highest hit rate of any camera that I’ve tested so far and that includes my Nikon D7200. What’s new with the Fuji XT2 is the ability to select between a number of different tracking profiles to suit your subject. 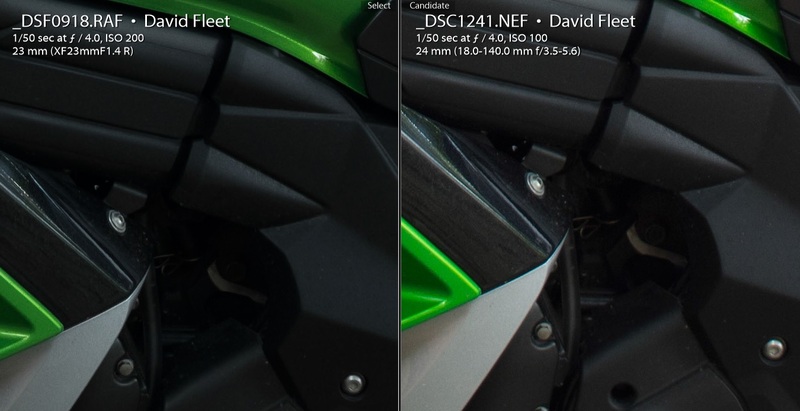 These profiles alter the sensitivity and speed of the XT2’s auto focus. The profiles available are Multi-Purpose, Ignore Obstacles, Accelerating / Decelerating Subjects, Suddenly Appearing Subjects, and Erratic Motion. This feature is normally found on high end DSLR’s aimed at pro sports photographers so it is great to see Fuji including them here. The new menu system is intuitive to use. Turning on boost mode supposedly improves AF performance but in all honesty I found that it didn’t hugely affect AF performance or the hit rate I was getting with the camera. The buffer depth of the XT2 is good. I was using matching Sandisk Extreme Pro 32gb 280 mb/sec UHS II cards in both slots and when shooting Raw+Jpeg at 8FPS the camera would only start to slow down after about 3 seconds. The buffer then cleared in about a further 3 seconds. Shooting Fine Jpeg I was able to shoot forever. Shooting Compressed Raw files I was able to capture 34 frames before the camera slowed down. Overall the Fuji XT2 has some of the best AF performance you will find in any mirrorless camera. Combine this with the additional tracking AF profiles and it is a very capable camera for almost any use. In terms of resolution this allows for greater detail and increased ability to crop your images if required. Wildlife photographers in particular will be delighted with this increase in resolution as you can never have too much reach or ability to crop when shooting animals in the wild. Where I really notice this is when shooting portraits, the new sensor shows more detail in the eyelashes of a subject. It is also quite noticeable when shooting detailed landscapes. 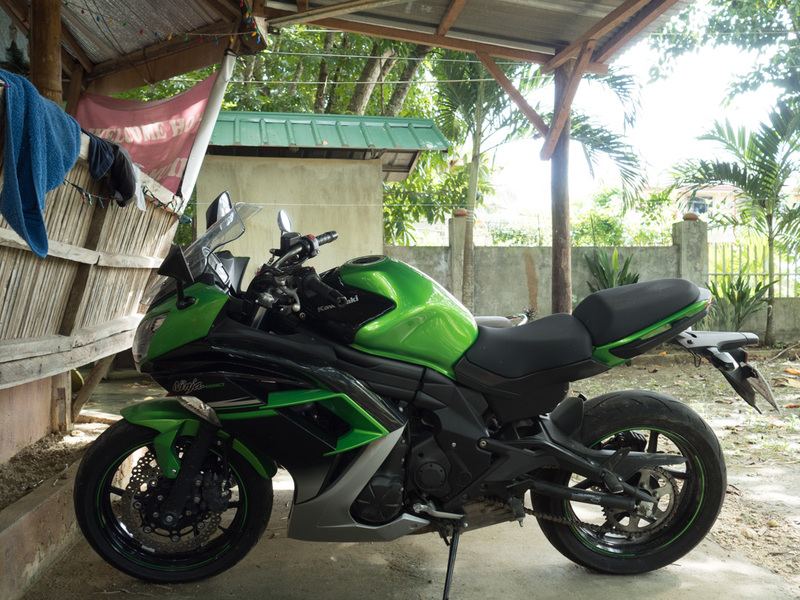 The higher resolution combined with lack of AA filter allows for incredibly sharp images. Combined with the new autofocus system, getting pin sharp images even at large apertures is easy. Don’t forget that thanks to the way mirrorless cameras work there is no need for micro adjustments to the AF system when using different lenses. When your shot is in focus, you can be sure it really is in focus. 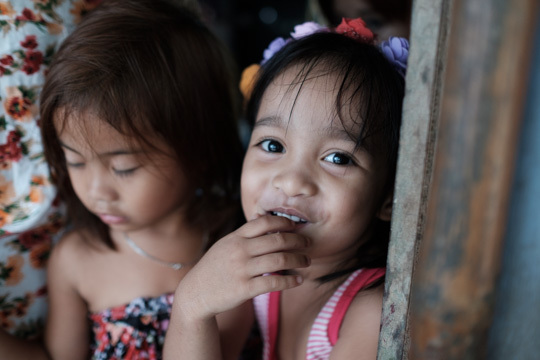 What is surprising if you look at the results below is that the Nikon 18-140mm kit lens does surprisingly well when compared with the Fujinon 23mm f/1.4 prime. To test dynamic range I set the Fuji XT2, Nikon D7200 and Olympus Pen F up on a tripod. Shooting at all the cameras base ISO settings with the same shutter speed and aperture and in raw. 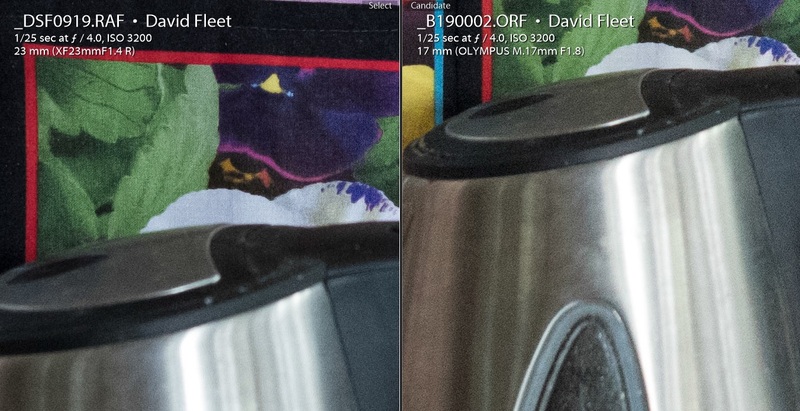 There are a couple of interesting things to note here; The Fuji at ISO 200 is a little brighter than the Nikon shot at ISO 100 but darker than the Pen F. This would match my findings that it can sometimes under expose a little. The XT2 seems to prefer to under expose slightly and protect the highlights. Secondly, when you increase the shadows in Lightroom to the same level as the Olympus Pen F the Fuji retains the detail and doesn’t introduce too much noise. So the detail is still there in the shadows while protecting the highlights. 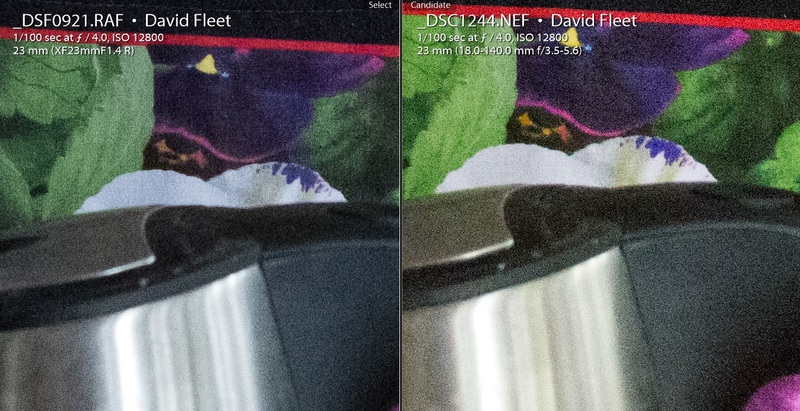 Now if we compare it against the Nikon D7200 where I have increased exposure by one stop in Lightroom, effectively giving an ISO 200 image we can see that the Nikon image is brighter at the same settings. There is not much in it though so to me it doesn’t look like Fuji are fudging the numbers anymore, or at least not to any significant degree. The Nikon is exposing the image slightly to the right on the histogram and indeed it shows more clipped highlights than the Fuji file but shows more shadow detail. The Nikon image is also more saturated but when shooting raw it’s not a significant factor as you can easily change the colour. There is some jpeg artifacting in these images so I will upload full resolution samples to Flickr so that you can look in more detail. From these results I can say that the Fuji XT2’s sensor is right up there with the best performing APS-C sensors on the market. I would also say that at this point, dynamic range and resolution are no longer significant factors when choosing between APS-C and Micro 4/3. All the sensors perform really well at base ISO. 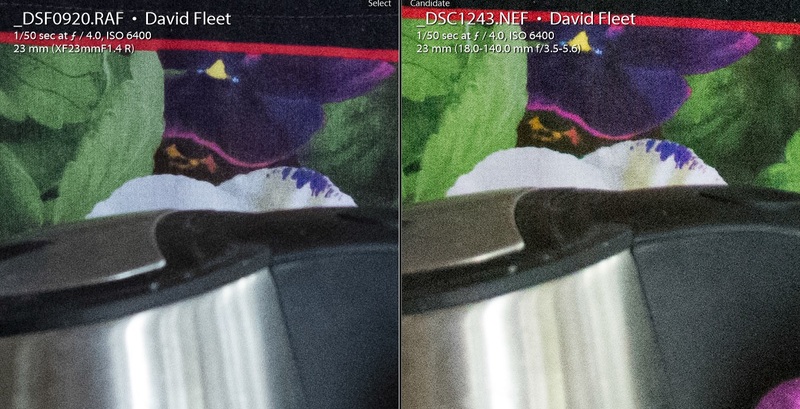 I tested the noise performance of the XT2 against the Nikon D7200 and Olympus Pen F.
Firstly I tested all 3 cameras in the same dim light using the same shutter speed, aperture and ISO settings. 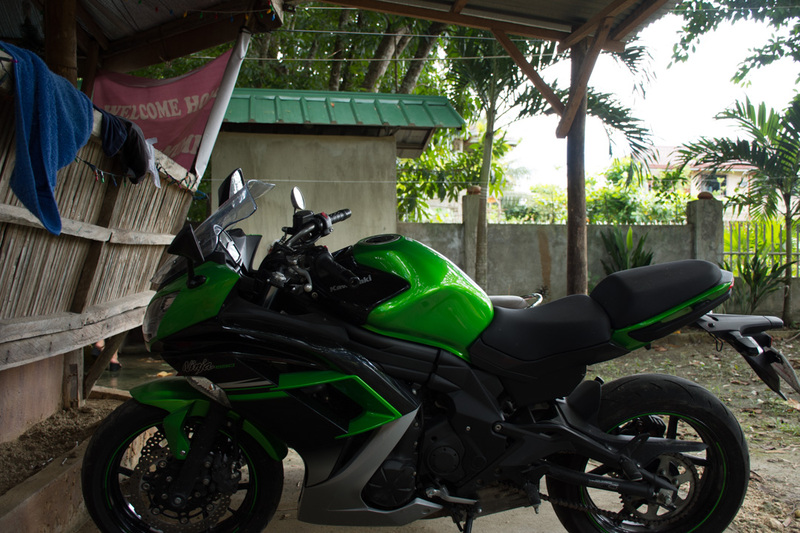 All shots were taken in Manual mode using a tripod. The light was very dim. At ISO 1600 the differences between the three cameras are minor. At 3200 we start to see a gap emerging as this is where Micro 4/3 tends to fall behind. At ISO 6400 the Fuji sensor really starts to show better noise handling than the Nikon D7200. Noise is better controlled and finer as you can see below. I’d say it has about 1/2 stop advantage at this point. Finally I shot both cameras at 12800 ISO and at this point the D7200 image starts to break down, I was surprised how well the XT2 handled it. At this point the Fuji XT2 is significantly better than the D7200, by almost a stop. The Pen F at 6400 performs very similarly to the Fuji XT2 at ISO 12800. So in terms of noise performance the Fuji XT2 has improved on previous generation sensors by around a stop at high ISO’s. This is very impressive considering that they have increased resolution by 50% over the older X-Series models and their ISO settings seem to be more in line with the competition now. I feel comfortable shooting at ISO 6400 on the XT2 and will go to 12800 if required. Remember these shots are all raw files with no post processing work done on them. They were converted straight to Jpeg in Lightroom (creative cloud version). As I mentioned before I will upload the samples to my flickr account so that you can look in more detail if you wish. As I mentioned before one of the additions to the XT2 is the Acros film simulation first seen on the X-Pro2 earlier in the year. 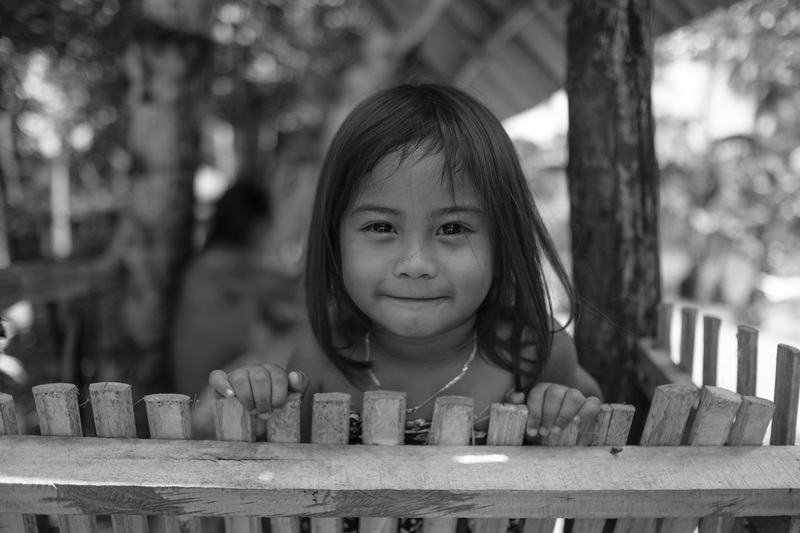 I personally find this black and white mode to give beautiful tones with plenty of contrast. In my testing it requires contrasty scenes to really get the best out of it but then high contrast scenes always benefit black and white images. The XT2 adds the ability to shoot 4k video and for me this is a huge bonus because it was an area where I would previously had to have kept a separate camera just for video. I have only briefly tested it but the quality looks to be excellent with little of the artifacting that we saw from previous Fuji models. I’ll be testing this further and adding some samples once I have a faster internet connection. Overall Fuji has really pulled out all the stops with the XT2. 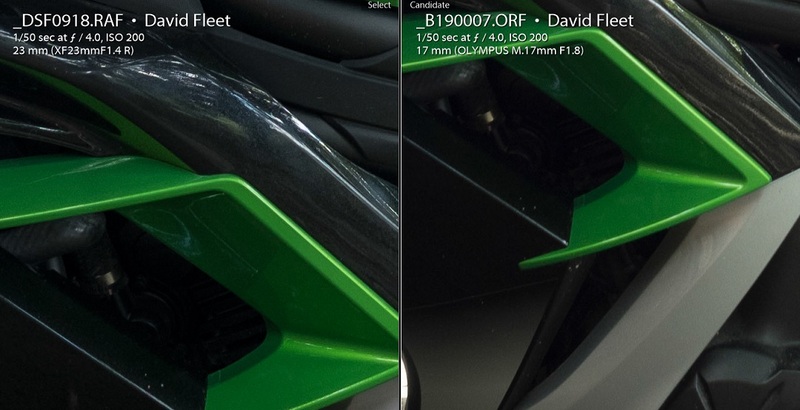 They have upgraded the sensor giving 50% more resolution yet somehow improved high ISO noise performance. Everything about the camera feels quicker than the XT1, from the menu system through to auto focus performance. The AF joystick speeds up AF point selection by a huge amount and this combined with accurate face and eye detection means that you rarely miss a shot. S-AF is as quick as anyone needs in real life and tracking performance is among the best I have used. Yet it is the handling where I feel that the XT2 really shines now, thanks in large part to to all the minor changes that Fujifilm have made to the design. Slightly larger body, more rugged build quality, larger dials, better feeling buttons, better quality memory card and battery doors, dual SD card slots and an intuitive hinged LCD design. I think Fuji have made the perfect handling camera and it really is a joy to use. I get to use a huge number of cameras and for me the Fuji XT2 feels the best in use. It is quick and easy to control and the image quality is superb, right up there with the best APS-C sensors. The fact that it is also a good looking beast is a bonus. Apart from the addition of a touch screen LCD I struggle to see how the Fuji XT2 could be improved ergonomically. It seems to have hit the perfect size/weight/performance combination for all my needs. Fuji have smashed it out of the park with the XT2 in my opinion and judging by the stock delays I think a lot of people agree with me. I mentioned previously in a post that I wondered whether the XT2 would be enough to tempt me back in to the X-System as my main camera. Well I no longer have to wonder. I shipped off three cameras for sale yesterday and the XT2 wasn’t one of them. I’ll be keeping that and hopefully adding a few more lenses to my bag too. If you appreciate the time that I have put in to creating this article for you then please shop using my links. You can buy through them at absolutely no additional cost to you and no matter what you purchase I receive a small commission from the retailer. That commission helps me to keep this site going and to keep bringing you real world reviews and comparisons. It is the only way I make any money for all the time and effort that I put in to this website so thank you to each and every one of you who shops through the links below. Xt2 manual page 144 spot meeting and spot AF can be interlocked . Thanks for your comments. Yes I was playing with the XT2 a few days ago and saw this option. I’ll update the article to show this.